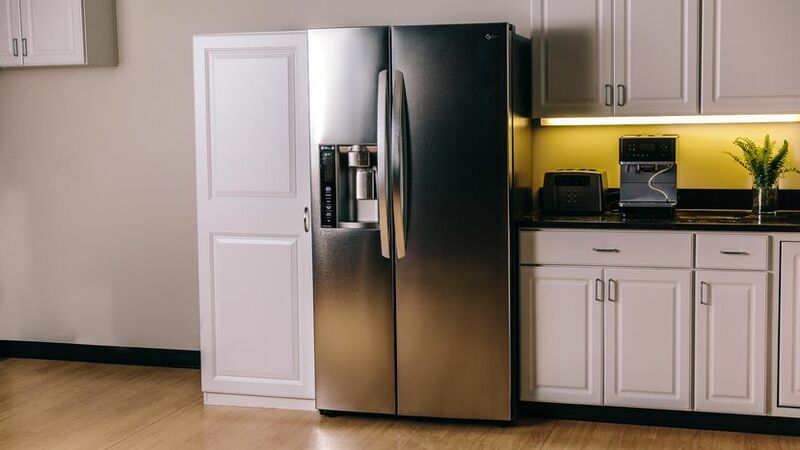 Refrigerators had made life so much easier than it was back when they did not exist, and today it is the most essential and used appliance in our life. While everything beneficial comes with its problems, refrigerators have similar difficulties to deal with besides its sound effects. With a refrigerator not working correctly, it may lead to all the stored food to spoil and waste. 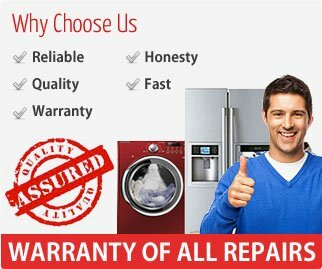 Most of the times, to recover from such problems refrigerator repair near me are quite useful. But if you can deal with them at home and get your problems solved in minutes by yourself, the job gets much more comfortable. So it is always better to be acquainted with some handy skills while dealing with a refrigerator. Most of these problems occur due to carelessness while handling the fridge and can be prevented with adequate care. A few tips can always come in handy while repairing your refrigerator at home. A refrigerator leaks water when the water supply line freezes and splashes water continuously. It can also leak when the drain hose gets clogged with food particles, vegetable leaves, and other litters and scraps. The clogged hose leads to a blocked defrost drain eventually causing water dribbling from the drain. In such a case, the problem can be fixed by using a tub of warm water to clear the blocked drain within a few minutes interval. The hose can be cleared with a bent hanger or anything with a bent end slowly removing the litter with a few attempts. A defect in the water supply line or a shut-off-valve at its open state can also cause water leakage. To get rid of this problem, the valve behind the panel of the refrigerator should be closed clearing the blockage and checked for any wear and tear. The water supply line should be tested and fixed according to the problem faced. The refrigerator makes high pitched noises when the condenser motor fan stops working due to blockage. The fan gets blocked due to litter accumulating in the propeller blades and every time it rotates, the clicking sound produced is due to the litter. This problem can be solved by unplugging the refrigerator at first and then brushing the blades with warm water and bicarbonate solutions. The freezer may also create sounds when the distance between it and the wall is narrow. This may lead to vibration and can be solved by displacing it from a space an inch away from the wall. The condenser fan is clogged with litter also plays a role in inadequate cooling of the refrigerator. If the condenser fan is blocked by debris, the rotation is slow, and enough frosting does not occur. Clogged coils inside can also add to the raised temperature inside and result in inadequate cooling. To solve this problem, remove the evaporator cabinet and replace the fan. The compressor should start running after the replacement and will start frosting again. A brush can be used to clean the condenser coils after unplugging the refrigerator from the source. The thermostat readings should be checked if the problem lies underneath it as well. The bottom portion is not designed to be frosted at a freezing point in a refrigerator. So freezing of food at the bottom part is counted as an abnormal phenomenon. This can happen due to a wide range of reasons. Firstly, the food may be insufficient compared to the surface area required to be occupied and the air to reach the food. Due to inadequate food compared to the amount of air inside, the food tends to freeze. The food can also freeze inside if the temperature regulating points are not set correctly. Too much low-temperature setting points can cause food to freeze inside the bottom part. The problem can be solved by setting the regulatory points to an optimum temperature, storing ample food compared to the surface area, avoiding the bottom part for negligible food, etc. A sudden frost inside the freezing compartment of the fridge is a matter of concern and needs attention to be solved as soon as possible. Inaccurate sealing of the fridge, and keeping the door open for too long add to the problem of ice building up inside the chambers. Loose door pivots and careless closure of doors let the external air accumulate inside and cause the building of excessive ice. Defective door seals also let air pass through and cause building up of ice. Ice buildup can lead to clogging inside the chambers and imbalance in humidity to be maintained inside. The proper preventive measure is to always tighten the door seals and check for proper closures. It can be solved by unclogging the apertures, unplugging the refrigerator and introducing warm water to get rid of the excess buildup of ice pouring out. Attention should be given so that distance is maintained between the wall and the fridge so that it gets enough space to release the excess air. Plug the refrigerator again and check the compressor to ensure proper cooling after the changes. Wrapping it up, it can be concluded that a refrigerator may face a wide range of problems if used incorrectly and carelessly. Inadequate cooling or frosting is always a matter of concern in this kind of appliance and can lead to severe damage to it. Proper measures and useful tips should always be followed to take care of your refrigerator by yourself. Tricky tips can work smoothly and help you benefit from them without the help of repairing services and technicians. Thus, following some do’s and don’ts can help you fix your refrigerator in a short period effectively.